Finding pink plastic bags is very difficult. So when an on-line friend asked if I’d like some pink bags, I jumped at the chance. 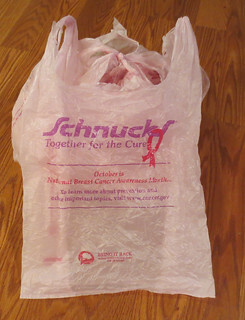 Cindy said her local store had been using the pretty pink plastic bags during the breast cancer awareness month last October. 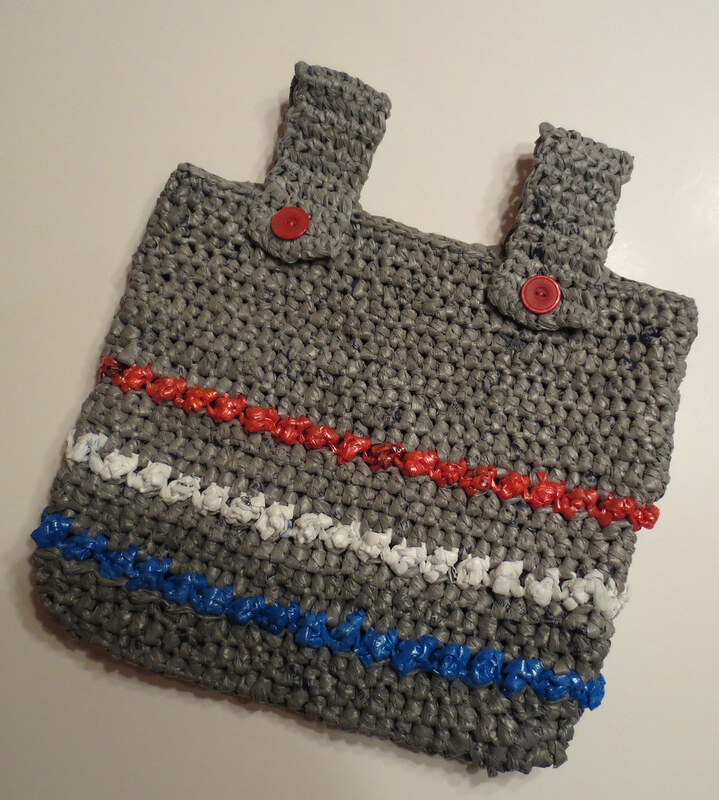 She saved the bags for recycling and offered them to me for crafting. Cindy and I did a little horse trading as she needed a few old audio tape reels so I mailed her the reels and she sent me these precious pink bags. 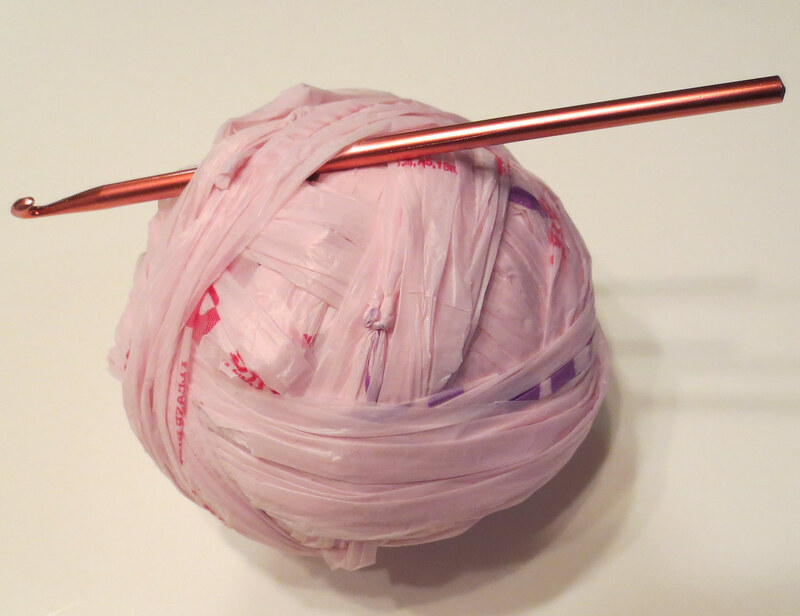 After cutting up the bags, I created this ball of pink plarn. 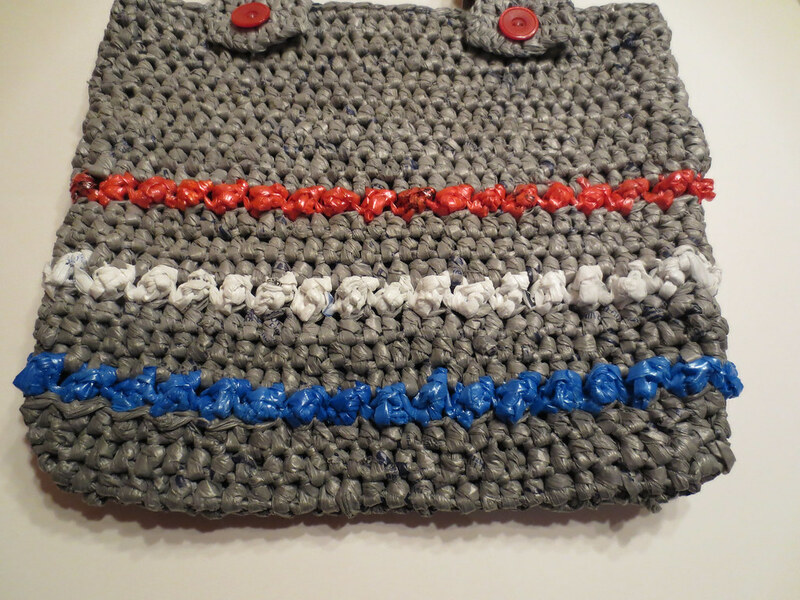 If you are new to crafting with recycled plastic bags, you can use my plarn making tutorial to learn how to cut and assemble plastic strips into plarn.